Dmitri Hvorostovsky in Montreal or Quebec City? 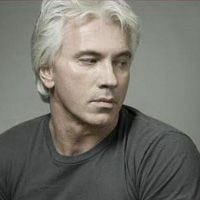 Inform me about the next events for Dmitri Hvorostovsky. Enroll yourself to our priority waiting list for Dmitri Hvorostovsky to be alerted when new tickets are available. Filling this form doesn't engage you to any purchase. Dmitri Hvorostovsky will stop by Montréal on March 26th, 2010, for a unique concert at Wilfrid-Pelletier Hall of La Place des Arts. For the occasion, the Russian baritone opera singer will be accompagnied by Italian soprano singer Sondra Radvanovsky, as well as L'Orchestre de la Francophonie with conductor Jean-Philippe Tremblay. This special performance by Dmitri Hvorostovsky is part of a 4-city North American tour. Besides Montréal, only New York, Washington and Toronto will have the priviledge to witness first-hand the winner of the 1989 BBC Singer of the World competition.